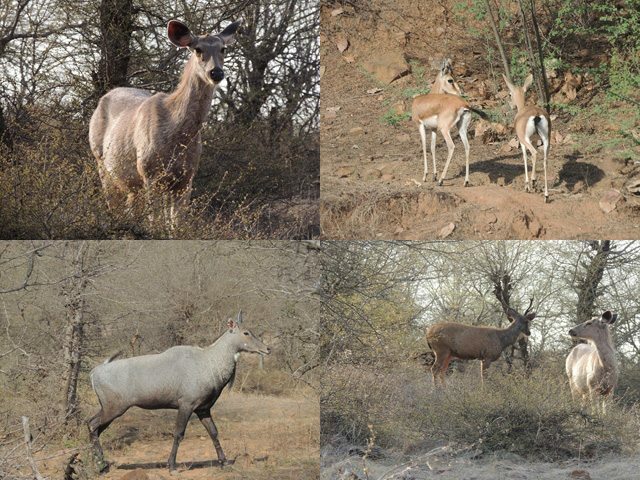 A day in Ranthambore - Ghumakkar - Inspiring travel experiences. We decided on a single-day trip around the Delhi circle. Amby suggested for a jungle safari. 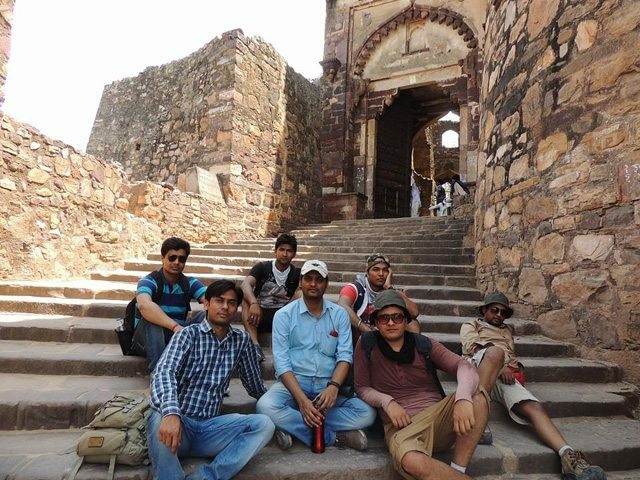 So, we started planning for Ranthambore and booked the tickets from Delhi to Sawai Madhopur. On April 24th 2014, we boarded the train from Nizamuddin station. Around 3:40 am, train was at Sawai Madhopur station. We got refreshed at station and had tea with some snacks. The time for the safari office to open is 5 am and the office is in 1-2 km range from the station. So, we walked towards the safari office on a deserted road. We were seven boys, so we booked one gypsy and got ready for the jungle safari. There are some small shops around the booking office where we had Maggi, chips and tea, since there was no other option. We got the ticket for route-10 and our guide’s name was Sher Singh. Hiring a guide was compulsory with each vehicle. Ranthambore jungle was dry and dense in this season. We started the safari at 6:30 am and finished at 9:30 am. Jungle is surrounded by hills which increase the beauty of jungle. There is also a river that passes through jungle, but was dry. 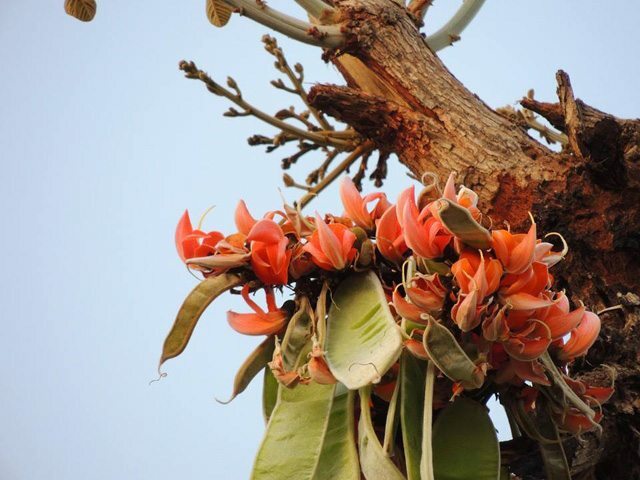 There were some different kinds of flowers tree and almost acacia tree. We had entered the jungle and were quiet and attentive, but we got all excited when we saw any animal. The animals tend to run away after hearing sounds of vehicle of people talking. So the guide requested us to be quiet and enjoy the safari. Going in open gypsy was exciting and scary too if you know that there are 60 tigers and some bear too. Sher Singh was describing about the name of each animal and their behaviour which we saw in the jungle. 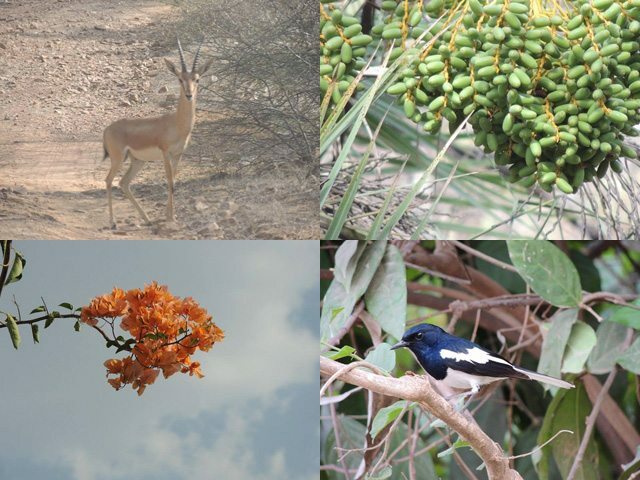 We saw a spotted dear, Nilgai, Sambar, Chital, Chinkara, different kinds of birds and cute gray coloured rabbits. 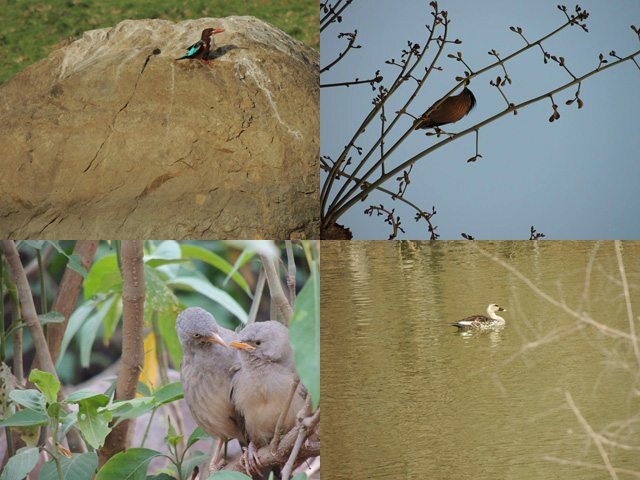 I didn’t remember the name of the birds, but some of them were very beautiful. 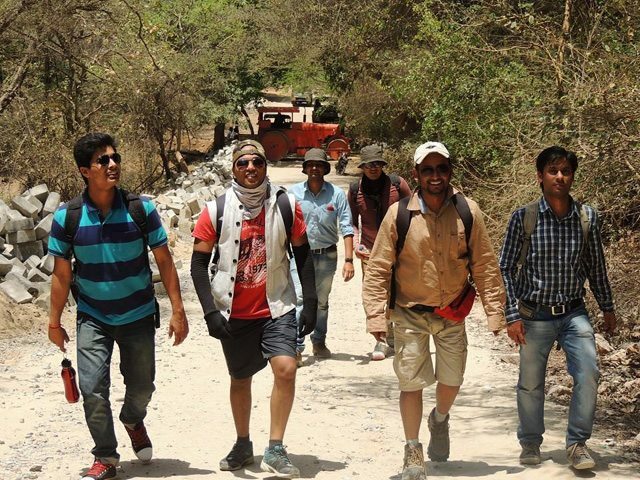 Sher Singh said that this route had around seven tigers in the area, but we were not lucky. The overall experience of jungle safari was awesome but we could only one because of the heat. After the safari, we had lunch along with a tall glass of Lassi (लस्सी) and moved to see the fort which is around is around 8-10 km away from route-10, so we hired a cab. But there was some road work in progress. So, we had to hike the last 2-3 km to reach the fort. On the way we saw a lot of mango trees and we enjoyed the green and sour mangoes. We also saw a biggest Banyan tree. Afte I searched on Google on coming back, I realised that Ranthambore is also the site for the second largest Banyan tree in the world. 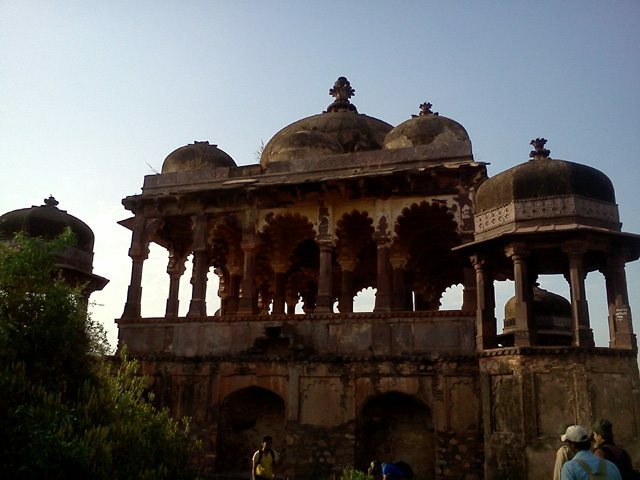 Ranthambore’s fort is famous of their great history and Ganesh Temple. We hired a guide who took us to the Hindu temple, Jain Temple, Darga and Mosque. Fort’s entire gate is still good, but most part of the fort has converted into ruins. We need to climb 300 stairs to reach at the top of fort. One of the biggest lake is adjacent to fort which enhances the beauties of that place. There was a lot of Gibbons (लंगूर) and Peacocks. We also saw a dancing peacock. The guide continued to recite the history of fort and also told some interesting stories. The fort’s wall had a different type of circular symbol, which the Guide shared was the symbol of Chauhan (चौहान) kingdom. There was an awesome view of lake and jungle from the fort. After visiting some important place in fort, we finally went to “32 Pillar Chhatri”. 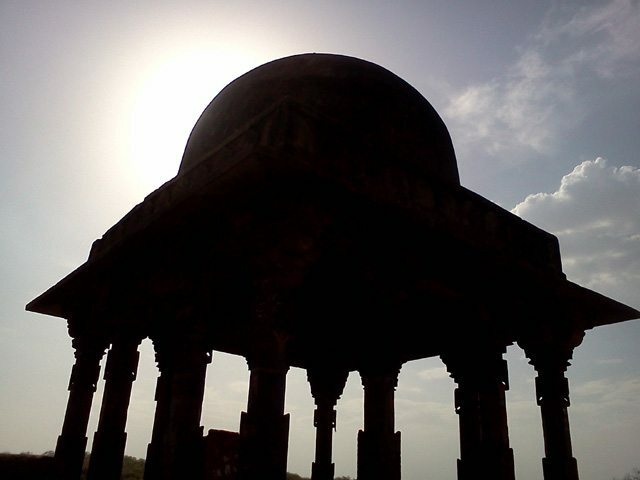 This Chhatri was built by King Hammir Dev in his father’s memory. He was also building another Chhatri in his mother’s memory that did not get completed due to his death. It was 2 pm and sun was in full shine. But it was windy at the top of Chhatri and more than 50 moneys were there. One Shiva temple is inside the Chhatri building, so we went down stairs and prayed. All of uswere tired and decided to rest. So, we spread the bed sheet and slept on the floor of Chhatri. We all got good sleep for two hours. After waking up around 4 pm, we moved towards the Ganesh Temple whcih is famous for that if someone makes a small dummy house here with stones, then his wish to make a real house gets fulfilled. So, we all created a small house with help of stones and prayed for our own home. On the way to temple, one can see a lot of stone houses. The palace inside the fort, was closed due to damaged condition. There is also a small pound near Ganesh temple. After visiting Ganesh temple, we visited Jain Temple. Since we all were hungry, we had “कचौड़ी with कढ़ी” from a street shop. We returned to the station around 8 pm and had dinner after the Gol-Gappas from street. Although our initial plan was for two days trip with the train reservation for April 27th, but realised that one day was enough for this hot season. So, we took the normal train ticket. Sawai Madhopur to Delhi is around four hour journey. We started playing card games in the train to pass time. Early morning of April 27th 2014, we were in Delhi. 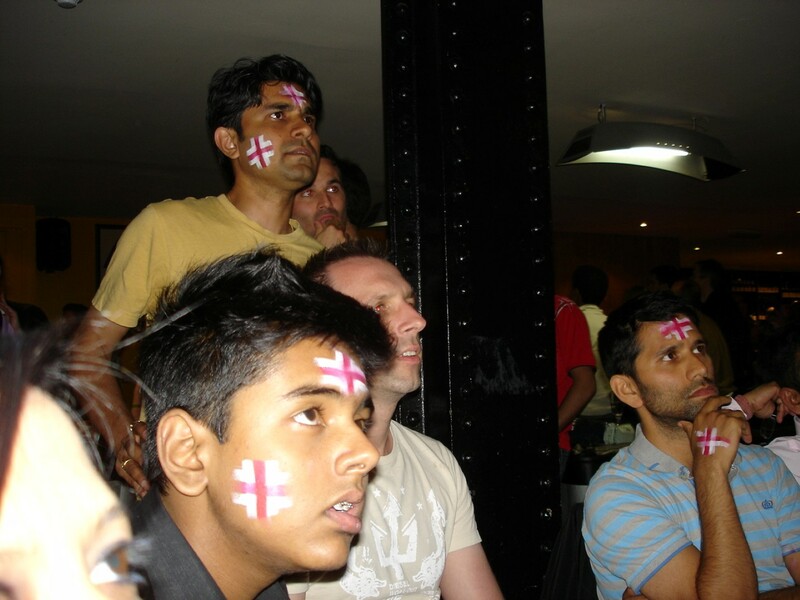 Our decision was good because we had the rest on Sunday. This trip was great and we enjoyed a lot in one day. I think we should plan this type of trip in each month. 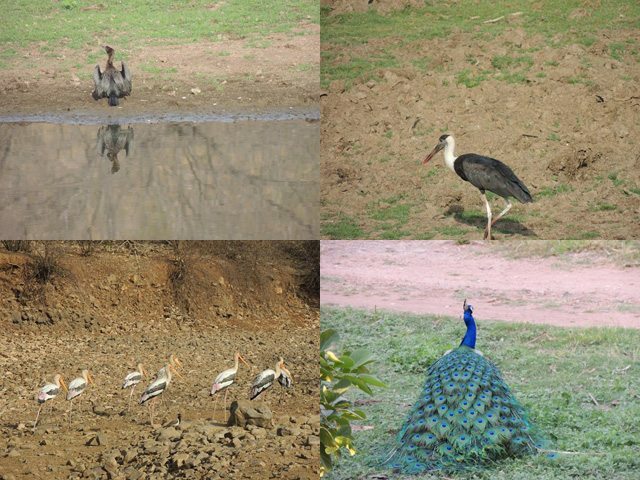 We visited Ranthambhor on 31st December 2013 & did the Safari on 1st January 2014. Undoubtedly the landscape here is unparalleled & magnificent. Sighting a big cat is only by luck but visiting the abode of the king itself is very fulfilling. It was extremely chilly while we opted for the morning safari. Gypsies were not available due to new year rush hence, we satisfied with a cantor. 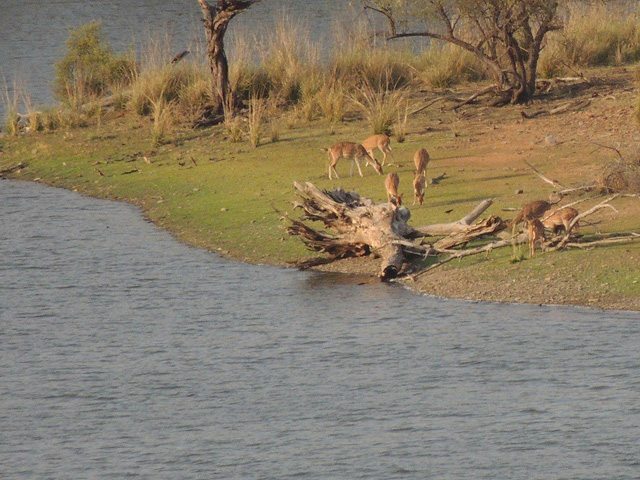 Visiting Ranthambhor as many times is a pleasure. Hope to visit there soon again, your log incited the desire. Nice write-up. Keep sharing buddy! Very very thanks Ajay for your inspiring comment. After your trip to Kashmir in winter, this is your 2nd post. I enjoyed it thoroughly. Photographs are awesome. A request to you. Please do visit the site as a reader too, whenever you get time, and please make your comments on the post here. Thanks Anupam, all photos captured by us guys. I have read almost post which published after my first post and also commented on some of them. Before going to any trip, I just read some blog about that place on Ghumakkar to know about that place deeply. Actually, I became a fan of this site and one of daily visitor of site. I have been to Jim Corrbett many times but never spot tiger………..
A single day Ranthambore almost sounds like an um-imaginable thing to me, may be I could that 15 years back. hehe. Any Jungle has its own charm. I have visited this park twice and loved it. The dry part is what kind of attracts me more and it is very different than what one sees in Corbett. The pics with all of you makes me feel that you guys must have had a lot of fun. Since you have written so beautifully about the trip, all of your friends must comment here and appreciate your hard work. Wishes. Enjoyed the day long adventure with you. The photos are nice too. 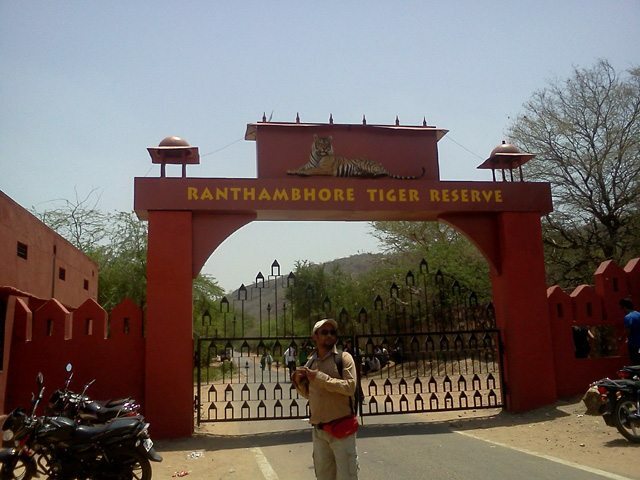 Ranthambore does offer a quick weekend getaway option. A lot of people wanted food from this restaurant, and so it took me a good 20 minutes to get out of there with food in my hands, and those 20 minutes were for this microscopically tiny plate of little strands of crispy-fried pork. It was like a golden fried piece of heaven. It had been deep-fried, thus the bacon had gotten crumpled up, but the flavour of the bacon had been retained. There was an almost silky, foreign taste of the oil used. It wasn’t anything in particular. My first guess was olive oil, but it was somehow tangier than that, with a hint of almost a peppery taste in it. One more plus point was that this one wasn’t too salty at all, which is generally the problem with bacon – usually the salt overrides the taste of the bacon. This was, as previously stated, like a crisp-fried piece of heaven.